Kaitlyn is a young, beachy country pop singer songwriter from Murrieta in Southern California. With her love for the coast and fun laid back vibes, her music has earned the description “Cali Country”. On stage she lives in the moment with her emotionally charged vocals, playful dance moves, and adorable style. She combines the sweetness, honesty, and sass of country music with her own laid back, feel good, California vibe. 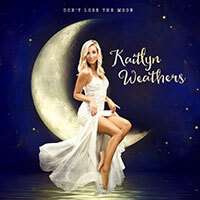 A dancer who later found a passion for singing, Kaitlyn has performed in Nashville and Las Vegas, as well as numerousKaitlyn Weathers is a young, beachy country pop singer songwriter from Murrieta in Southern California. On stage she is entirely in the moment with her emotionally charged vocals, playful dance moves, and adorable style. She combines the sweetness, honesty, and sass of country music with her own laid back, feel good, California vibe. A dancer who later found a passion for singing, Kaitlyn has performed in Nashville and Las Vegas, The Virgin Islands, and many California Wineries and charity events. She is currently working on her first EP that is coming out this summer!